YARDS Enter 1 yard or more in decimals. 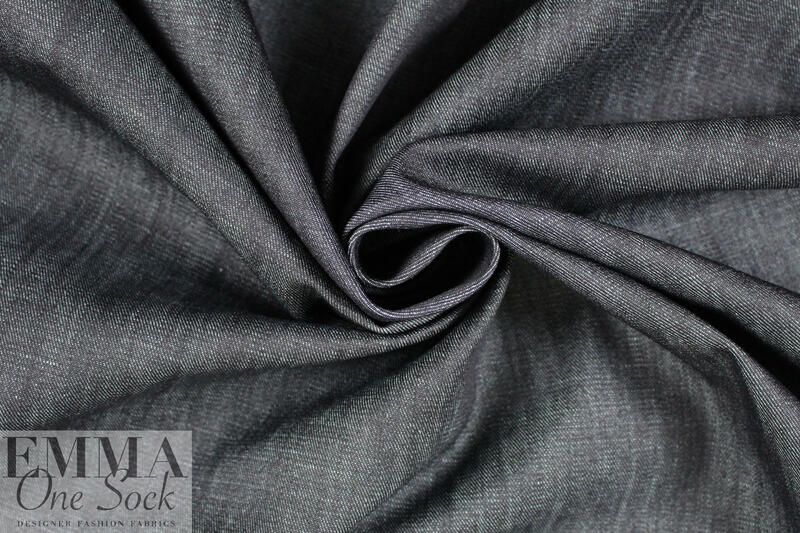 This is an excellent quality medium weight stretch denim, very dark blue with a white crossweave (PANTONE 19-4010-ish), a noticeable twill weave and about 10% widthwise stretch. 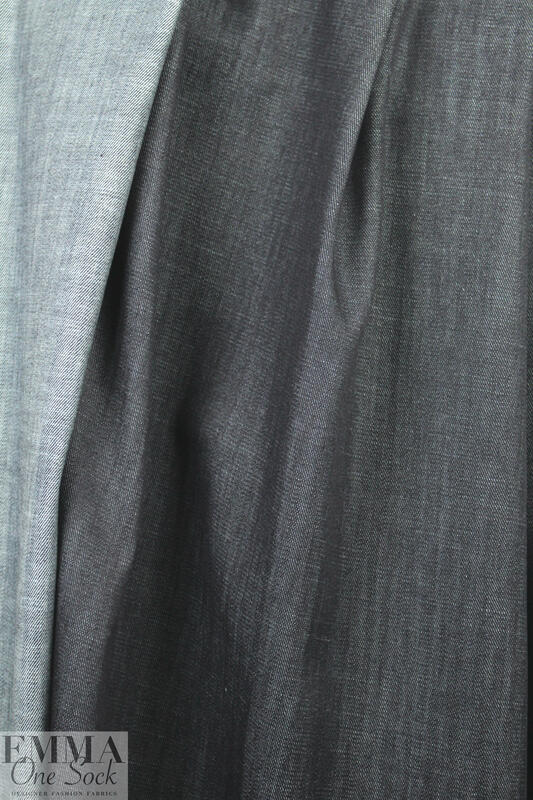 It has a very upscale look and a firm yet malleable drape. 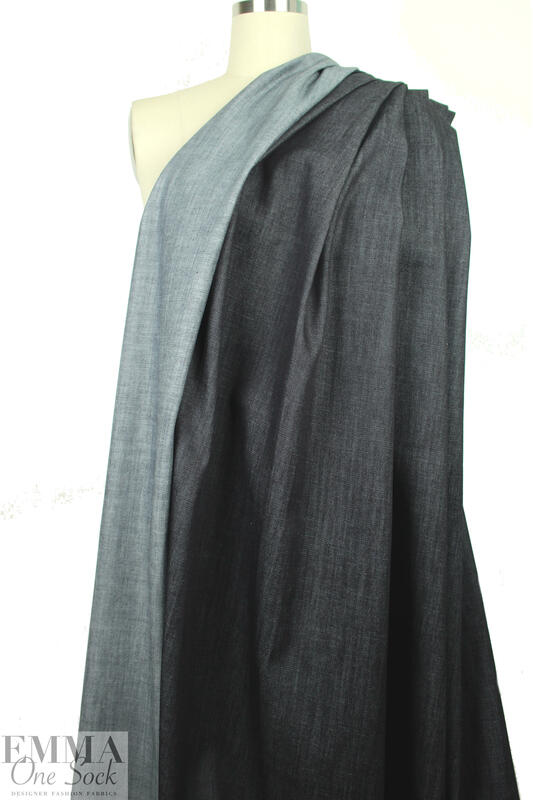 Perfect for jeans, jacket, skirt, topper coat, etc. Pre-wash and dry as you will want to wash your garment, and the more you wash the more it will soften. To contact us via email please fill the form below and click "Send email". To reach us by phone or fax, call 215-542-1082. Please note: This form cannot be used to send attachments. Please use your regular email program or webmail to send attachments (garment photos, fabric photos, etc.) along with your message to lpodietz@emmaonesock.com. Please do not use this form to order fabric or swatches! All orders must be placed through the shopping cart. To receive periodic email notifications of new arrivals, special offers and announcements, enter your email address below and click "Join mailing list". You can be assured that we will not share your information with anyone. Please take a moment to enter a note in the comments section and let us know how you heard about EmmaOneSock.